Ranau is a place in the interior part of Sabah, a district that is rich in tradition, and is blessed with beautiful landscapes. Don't forget - the people are friendly, too. It is noted for its hilly geographical structure and is home to the majestic Mount Kinabalu, one of the highest peaks in South East Asia. Located 1,176m above sea level the distric - in particular Kundasang area - is the largest producer of highland vegetables in the state of Sabah. Tourism is one of the major industries here, evidenced by the large number of highland resorts, hotels and agri-tourism activities along the road leading to Ranau town. Welcome to Ranau! Wait, the fun starts way before you actually reach Ranau from Tamparuli. In particular, you'd be tempted to make a stop in Pekan Nabalu and enjoy the full view of Mt. Kinabalu. 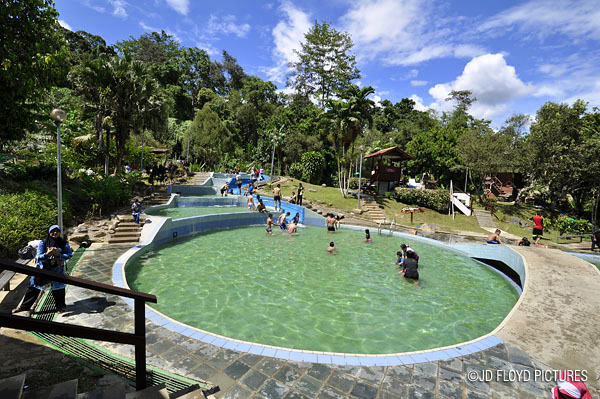 Ideally, you'd end your day with a soothing hot dip in one of the cubicles at Poring Hot Spring. View the pictorial journey along Ranau road towards Mount Kinabalu and beyond.